Sabarmati Ashram used to be a spiritual retirement home for religious and spiritual medicants to find the meaning of life while leading a simple living in service of others while abstaining from indulgence in the pleasures of life. 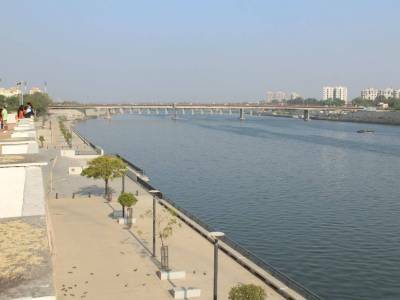 It is built on the banks of the Sabarmati River, in a small village going by the same name on the outskirt fringes of the urban capital of Ahmedabad in Gujarat. The Sabarmati Ashram came into prominence when a popular and revered father figure Mohandas Karmachand Gandhi or Mahatma Gandhi as he was popularly known, used the ashram to propagate his views of non violence as a means of fighting oppression of the ruling colonials and acquire complete freedom from foreign invasive powers. 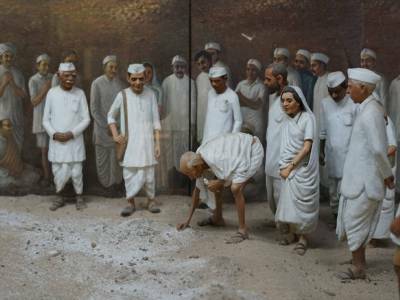 The Dandi March in which Gandhi is said to have flagged off a monumental procession towards the sea to demonstrate to Indian masses how to procure salt from the sea as a means of protests and boycott of foreign produced goods, became a major landmark in the history of India under British Rule, with this event setting off an expedited approach towards freedom and independence from foreign invading forces. 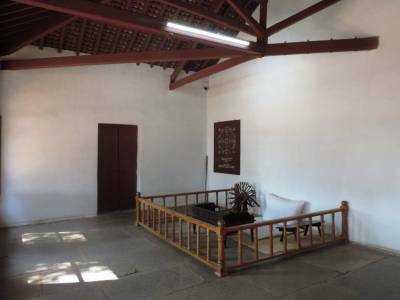 At present the ashram has been preserved as a historical display and museum giving visitors and onlookers a time frame based contemporary idea of the road towards freedom. 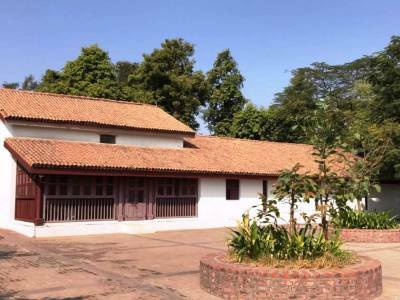 The Museum known as Gandhi Smarak Sangralaya is built on the premises of the same cottage that was inhabited by Gandhi as his residence during his stay in the ashram complex. That apart the ashram complex also sports other structures such as the Vinoba Kutir presently known as Miraben Kutir in memory of Gandhi's niece Mirabehn who spent her developed days serving Gandhi here. There is a modern housing structure that is used for the residential purposes of visitors to the ashram. The ashram still conducts and encourages its main objective purpose, making visitors pursue the true meaning of life by service to others through its various courses and activities for which visitors can enrol and claim participation by way of membership. 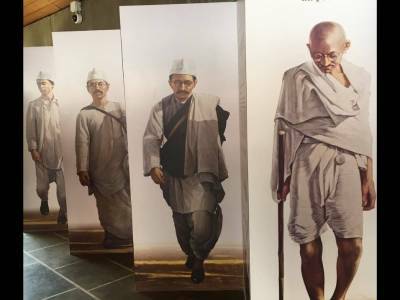 Get quick answers from travelers who visit to Sabarmati Ashram.